Part elasticated waist. Knee patches. Belt loops. Multi pocketed with concealed zips. 2 front large pockets with hem bellows. Right side zipped pocket with welt covering. 2 back pockets – one zipped one welt covering. Durable water repellent finish. Warm scrim lining. Please contact us on 021 4705088 or sales@atozsafetycentre.ie for more details. Open neck. Soft fused collar. Semi fitted. Spare button. Please contact us on 021 4705088 or sales@atozsafetycentre.ie for more details. TRF543 Regatta Barricade 250 Fleece. 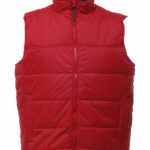 This fleece has 250 series anti-pill symmetry fleece, Fleece cuffs, 2 lower pockets and Exceptional Value. ZT180M Russell Classic T-Shirt. 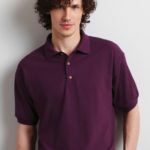 This T-shirt has Classic T-shirt sets the standard for fabric and production quality, durability and wearer comfort, Perfect combination of ring spun Cotton, high quality fabric and top level finishing, Shoulder to shoulder taping, Tubular body construction for shape retention and 1 x 1 rib knit collar.